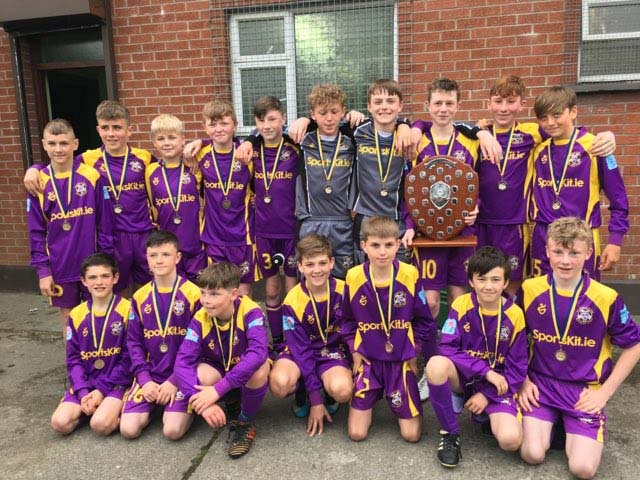 The Wexford U13 squad were the pride of the county last weekend following their Cremin Cup victory. 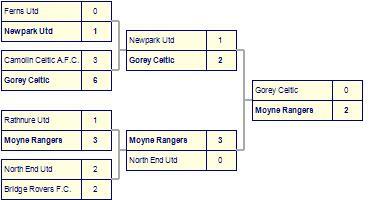 Gorey Rangers-3 take spoils against St Leonards-2. Glynn Barntown claim victory against St Josephs-2. 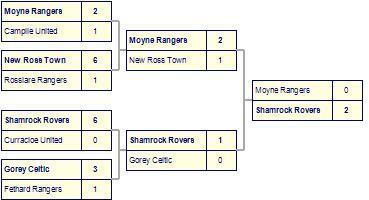 SHAMROCK ROVERS B claimed the U14 Division 3 title at Fr. Murphy Park on Saturday when they accounted for Gorey Celtic C on a 4-2 scoreline. And the Enniscorthy boys did it the hard way, coming from two down at half time to rifle in four goals without reply after the break. The champions certainly have a very impressive record in the league to date, having won all of their nine games on the way to being crowned champions. 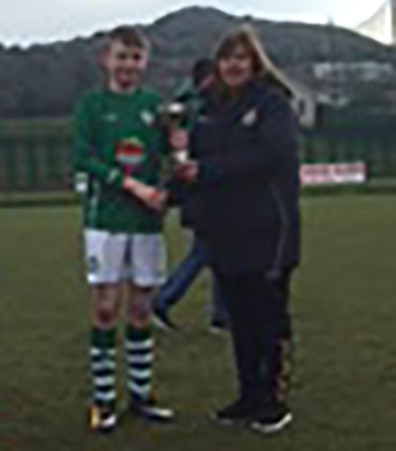 Anne Marie O’Neill from the Wexford Schoolboys League was on hand to present the jubilant Rovers team with their league trophy and medals following last weekend’s game. 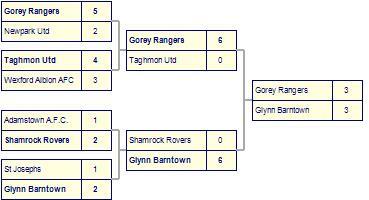 Gorey Rangers win against Wexford Albion AFC. Taghmon Utd lose to Courtown Hibs. New Ross Town-2 suffer defeat to Curracloe United. 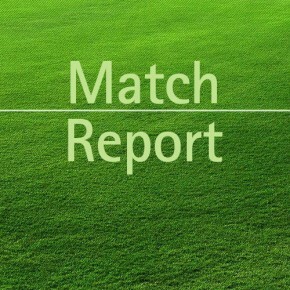 Corach Ramblers-2 suffer defeat to Killenagh Wanderers. Taghmon Utd win against Corach Ramblers. 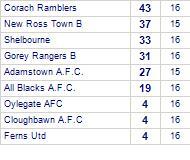 Gorey Celtic-2 beaten by Rosslare Rangers. Glynn Barntown-2 despatched by Duncannon AFC. Bridge Rovers F.C. 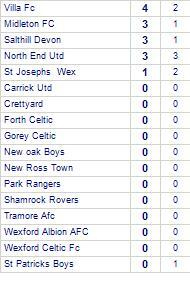 win against Wexford Albion AFC-2. Welcome to the Wexford and District Schoolboys League Website providing football for clubs in the Wexford area with both Small Sided Games and 11 A Side Soccer. 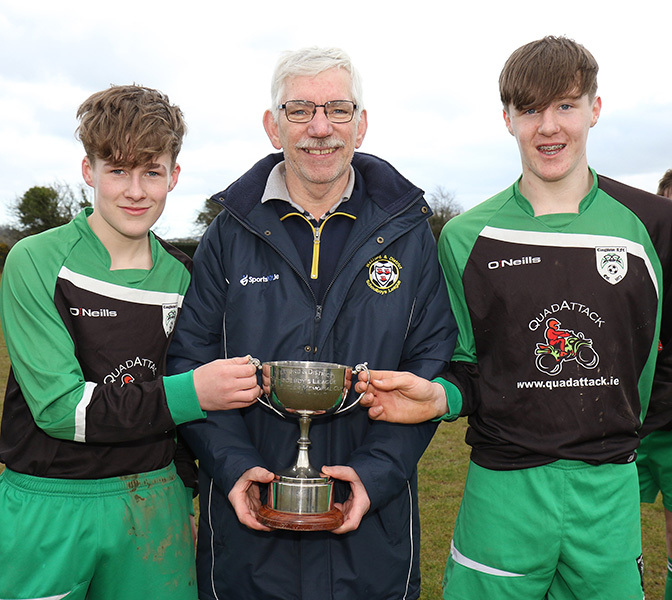 Here you can keep up to date with the latest fixtures and results as well as all the latest news from the regions underage clubs. Browse through our photo gallery to see some of the action! This website provides information about each club that plays in the Wexford and District Schoolboys League. Where possible we provide a map and a street view of a clubs home ground to help those involved with visiting teams to locate the pitch. If you are associated with a club and would like to provide us with more information about the background of your club and an exact location of your home ground then please contact us. We will update your clubs page with the new information. Any Club that would like to add news to our Website, please email wexfordschoolboys@gmail.com with the item. Please visit our sponsors. The WDSL Committee would like to thank all our sponsors including LeisureMax, SportsKit, and all our local advertisers for their continued support. It is very much appreciated. Secretary: Anne Marie O'Neill - email: wexfordschoolboys@gmail.com). On our new website you will find all the information you need about fixtures in the menus in top left corner. If you click on competitions in top left corner you will find fixtures, results and tables. 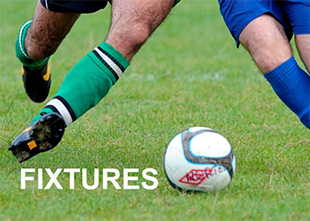 For a quick look at next fixtures click that option.